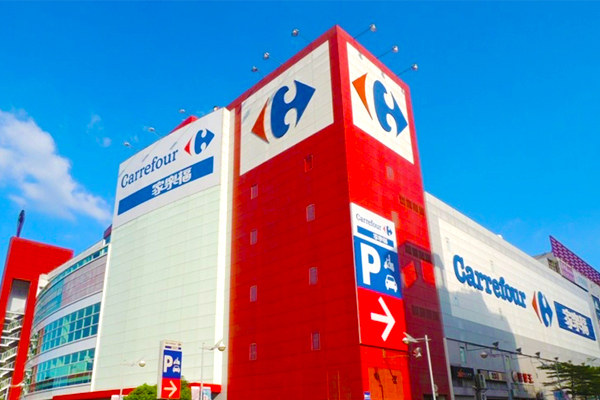 Crafting Carrefour’s New In-Store Retail Experiences — Sirqul, Inc.
Car­refour Taiwan’s goal is to be com­plete­ly dig­i­tal by end of 2018. Out-dat­ed man­u­al meth­ods for analy­sis and assump­tions lim­it­ed Carrefour’s abil­i­ty to change the cus­tomer expe­ri­ence and were void of real-time deci­sion-mak­ing capa­bil­i­ties. 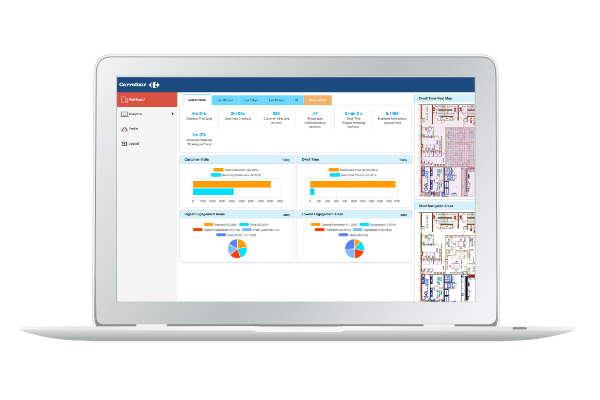 Rather than rely­ing sole­ly on sales data, assump­tions, and dis­parate sys­tems, Car­refour Taiwan’s CEO led an ini­tia­tive to find a con­nect­ed IoT solu­tion that could give the team the abil­i­ty to make real-time changes and more informed deci­sions. Pri­or to imple­ment­ing, Car­refour strug­gled to address their con­ver­sion rates and did not have the prop­er insights into the cus­tomer deci­sion-mak­ing process nor how to make an imme­di­ate impact with­out los­ing cus­tomer con­fi­dence. Car­refour Tai­wan part­nered in a coop­er­a­tive effort with Sirqul on a smart retail imple­men­ta­tion to trans­form into a more immer­sive, con­nect­ed expe­ri­ence for both cus­tomers and staff. New expe­ri­ences were enabled and cen­tered around dis­cov­er­ing the cus­tomer jour­ney and lever­ag­ing devices with arti­fi­cial intel­li­gence and machine learn­ing algo­rithms to alter in-store expe­ri­ences in real-time. Mea­sur­ing behav­ior in the phys­i­cal world and act­ing on this data enables retail­ers to make an impact on the cus­tomer jour­ney and expe­ri­ence a sales lift. 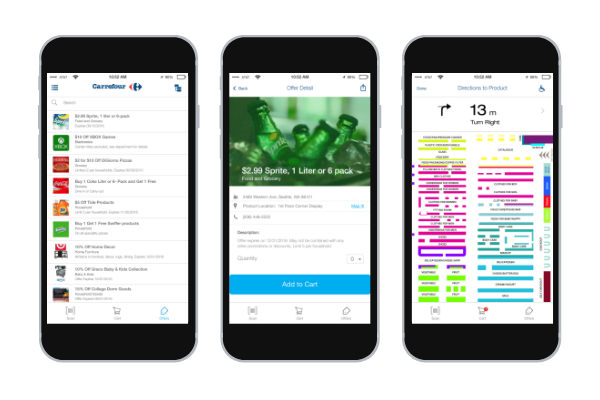 This new dig­i­tal tech­nol­o­gy called Edysen, enables retail­ers to track shop­per behav­ior (with­out an app) on an aggre­gate and anony­mous lev­el in order to get a bet­ter under­stand­ing on how to attract, engage, and retain cus­tomers. Sirqul’s patent­ed Edysen devices blend into the envi­ron­ment and detect WiFi and BTLE pings from phones. The data cap­tured is speci­fic to the device and is non-per­son­al­ly iden­ti­fi­able. 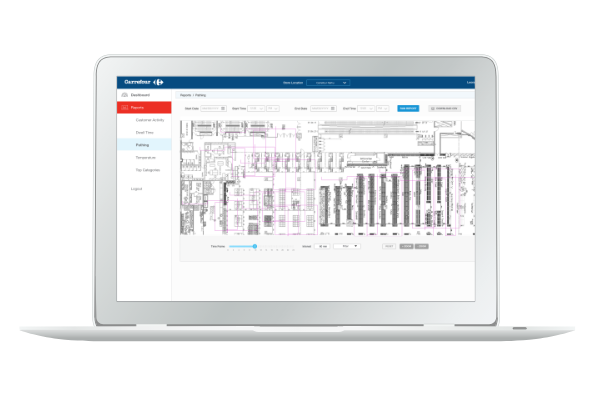 The tech­nol­o­gy then extracts data and in real-time to kick-off an event or series of events includ­ing trig­gers, alerts, automa­tion, pro­mo­tions, alter dig­i­tal sig­nage, and more. Lever­ag­ing advanced loca­tion-aware Edysen devices and arti­fi­cial intel­li­gence, Sirqul pro­vid­ed dai­ly insights and KPIs into store per­for­mance that helped to dri­ve change and make an impact on their stores. 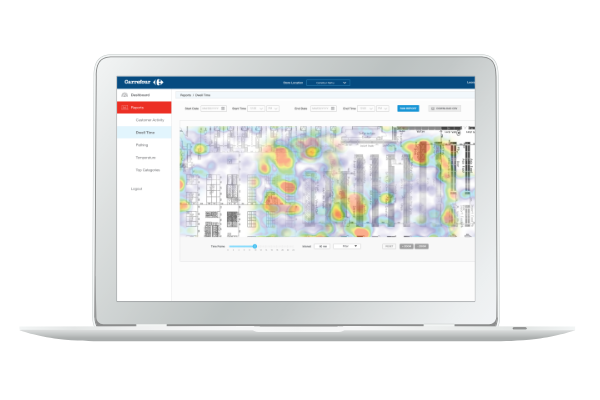 The solu­tion cap­tured vis­its, repeat vis­i­tors, move­ment, heatmaps, cus­tomer paths, and dwell time by area. Ana­lyz­ing traf­fic behav­iors, Sirqul pro­vid­ed insights into anom­alies that need­ed inves­ti­ga­tion and action. Noti­fi­ca­tions and alerts were cre­at­ed to send alerts to asso­ciates when a cus­tomer need­ed help or assis­tance. A closed loop tem­per­a­ture mon­i­tor­ing sys­tem was also put in place to mon­i­tor the jour­ney from trans­port to in-store, ensur­ing fresh­ness, qual­i­ty of goods, and integri­ty of ser­vices deliv­ered to cus­tomers. Oper­a­tional trig­gers in place also caught a freezer’s tem­per­a­ture steadi­ly decreas­ing due to an open door and imme­di­ate­ly fired off a noti­fi­ca­tion to a store asso­ciate to close.